"Our preliminary results reveal new branches of life here," said Dr Gregory Farrant from Matís, a governmental research institute based in Iceland. "It's tricky to analyse DNA of microbes that are totally new to science because there's no prior knowledge about them," explained Dr Farrant, who is the lead investigator on an EU-funded research project called AstroLakes. "We're dealing with a lot of unknowns." 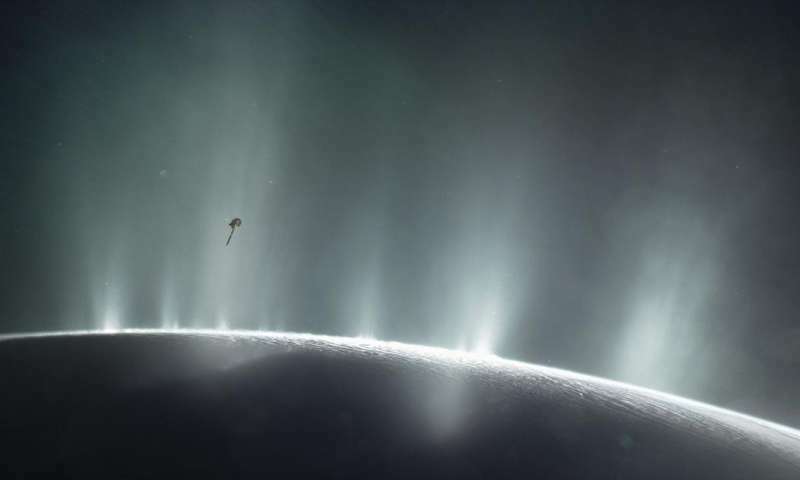 NASA's Cassini spacecraft has already detected organic molecules – the building blocks of life – by flying through geysers spouting hundreds of kilometres above the surface of Enceladus, one of Saturn's icy moons. "By flying through the water-rich jets, the Cassini spacecraft has detected complex organic molecules as well as hydrogen, making Enceladus one of the most potentially habitable environments in this solar system," said Dr Gabriel Tobie, a planetary scientist from France's National Center for Scientific Research at the University of Nantes. What they have discovered is while Enceladus' hidden ocean lies up to 35 to 40 kilometres beneath the icy surface at the equators, it could be less than 5 kilometres underground at the poles, a distance comparable to the ice caps on earth. That's much thinner than originally believed, and makes the subsurface ocean potentially accessible during future space missions. It also suggests there may be hydrothermal vents on the ocean floor. "This thinner crust implies that there is a huge heat source at this moon's interior which may power hydrothermal vents on the floor of this underground ocean," said Dr Tobie. Other moons, like Saturn's biggest moon, Titan, or Jupiter's moon, Europa, may also harbour these building blocks of life, and these research projects contribute more base reference points for future space missions to find out. Iceland's Dr Farrant said: "Similar types of metabolisms are expected to occur in both places. Europa presents the conditions for life to emerge."